Cevisama 2019 has been an intense meeting with remarkable results for ITT Ceramic. The balance of this edition of the fair, one of the most important worldwide for the ceramic sector, is more than positive. Thus, in the words of Rami Hamze, CEO of the company, “Cevisama means giving visibility to the consolidation of our company in the market, thanks to the presentation of a complete range of novelties that incorporate an important load of design, technique and innovation”, highlighting as a relevant aspect “the support of our customers and of the professionals who have visited us, who value and appreciate the personalized attention and the quality of products that adapt perfectly to what their respective markets require”. It is worth remembering that ITT Ceramic has presented 14 new models manufactured in porcelain with very different finishes, formats and styles. 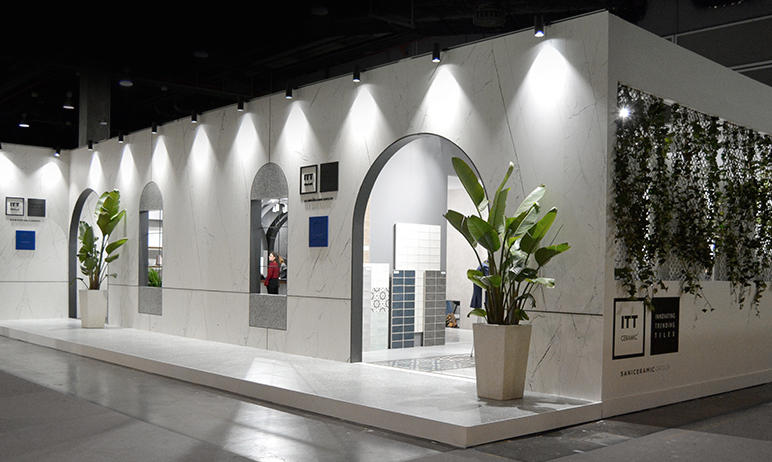 The new proposals for marbles, cements, stones and wood have been very well received at the fair due to their capacity to provide solutions to the demands of architects, decorators and interior designers from all over the world. In addition, at its Cevisama stand, ITT Ceramic has shown in situ different applications of the ceramic product, both in conventional surfaces and in others that are not so common, featuring specially applauded models such as Diesel, Sahara Bianco, Volakas and Pompeia. In short, at the ITT Ceramic stand, ceramics has shown itself to be a material with excellent performance, both functionally and aesthetically. On the other hand, Creative’s presentation at Cevisama 2019 has been a great success. With the backing of ITT Ceramic’s experience as editor of its own ceramics, this new brand specializing in small format has conquered visitors for its ability to recover the handcrafted essence of ceramics and put it in value as a first-rate product for interior decoration. Not in vain, the exhibition area dedicated to Creative, where the 21 models with which it has been launched have been appreciated in detail, has been one of the most crowded during the five days of the fair. With the slogan ‘Evolving towards the past’, Creative has exhibited its proposals in four formats (15×15 and 20×20, in porcelain, and 7.5×30 and 12.5×25, in white paste), highlighting, among others, the models Osaka, Norai, Gallery, Chess and Trazos, which represent a renewed vision of the classic tile in small format, preserving an image that never goes out of fashion and offering unique designs with the support of the latest technology in ceramic manufacture.